The Solomon Islands started on a high note after defeating American Samoa 2-0 in the 2018 OFC Women’s National Cup (OFCWNC) qualifier at Churchill Park, Lautoka yesterday. What happened: Iileen Pegi of Solomon Islands was provided with an excellent opportunity to score in the early minutes as she had broken the American Samoan defence but her attempt went wide. Solomon Islands continued to apply pressure and got the opportunity to score in the 35th minute. But Merina Joe’s attempt again went wide. Solomon Islands captain Laydah Samani drew first blood in the 39th minute, 1-0. The captain was also provided with another clear opportunity to score in the dying minutes of first half but the American Samoan goalkeeper was strong in defence. American Samoa started the second half on a high note however it was yet again the Solomon Islands getting massive opportunities to score. 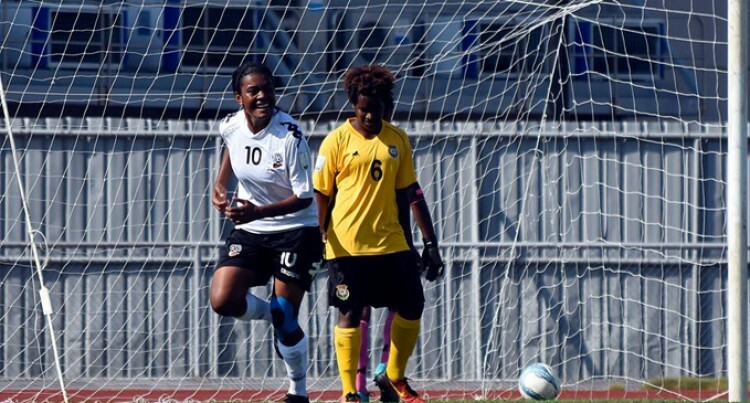 Solomon Islands then made a tactical change when Crystal Bakalo was replaced by Jemina David. In the 89th minute, Samani scored another goal giving the team a handy 2-0 lead. Big Play: Laydah Samani, captain of Solomon Islands played exceptional football and led by example.